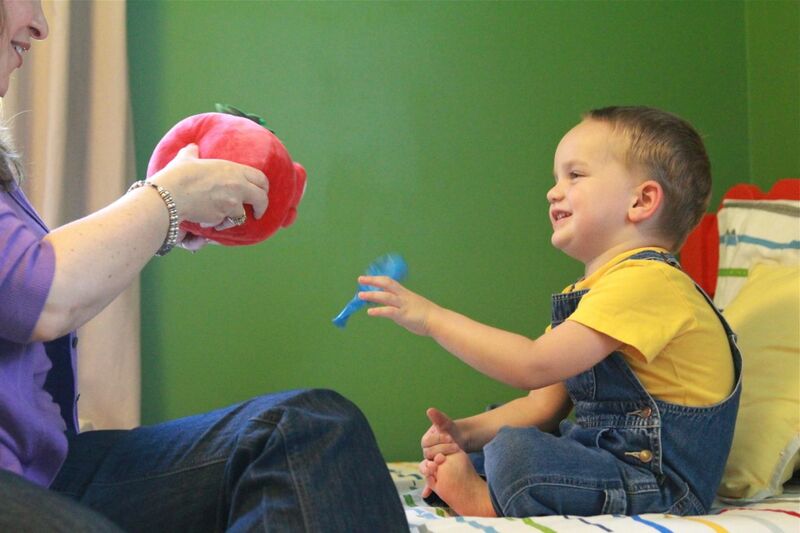 Jude having a blast with Mrs. Laura during his most recent speech therapy session. Josh blogged today over at Gospel Life about some of the emotions he's struggled with as we travel this journey of parenting Jude. Even so, we cannot help but wonder, “Why?,” and along with the “why” questions comes a host of “what” questions: What caused this delay? What could we have done to prevent it? What have we done to compound the problem? One night as I lay quietly in bed after a long, weary day, these questions multiplied like a spiritual virus. These infectious agents manifest themselves as the spiritual disease of self-pity. Self-pity destroys our vitality by removing our gaze from Him who gives abundant life and turning our gaze inward—Why me? What could I have done? What should I do? But the doctrine of God’s providence silences the Satanic lies of self-pity. My husband's words are a peaceful reminder of the Father's love for us, no matter what situation you find yourself in. You can read the rest of the article here: The Cure for Self-Pity. I'm planning to write a follow-up to what I wrote in March about Jude's language development, but until I get around to it, I'll let this serve as a sort of mini-update.